Our large selection of gorgeous tungsten carbide wedding bands is sure to instill commitment and integrity into your marriage. 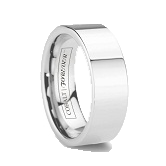 Tungsten carbide's flawless features and virtually scratchproof nature create a look and feel like no other. 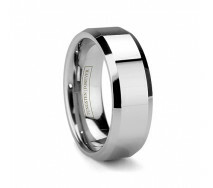 Select from a vast array of tungsten rings sure to match your look perfectly, whether its traditional classic styles or something more modern, all tungsten wedding bands are available in 6mm and 8mm sizes. 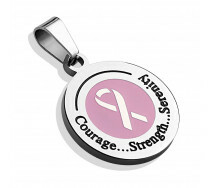 Lifetime warranty, Lifetime sizing, Guaranteed for Life! 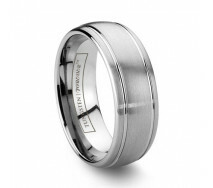 Inlaid tungsten rings combine the toughness of tungsten and the richness of precious metal. 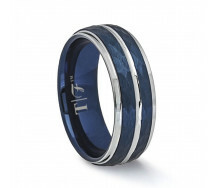 These tungsten inlay rings utilize the purest materials and the most advanced inlaid bonding processes. 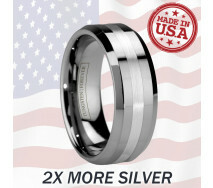 Feel the nobility of stylish Argentium sterling silver, warm 18k gold or pure 950 platinum, all made in the USA! 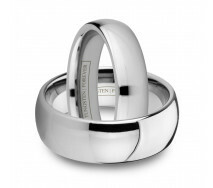 Also be sure to see our beautiful tungsten diamond rings. 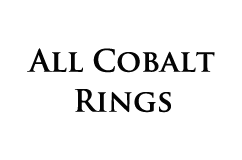 Don't be fooled by the generic brands that can't guarantee their quality! 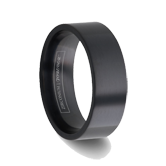 Finally, our black tungsten wedding bands are here! 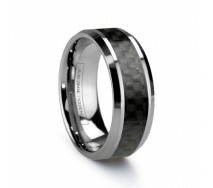 These black tungsten carbide rings will impress and awe all those nearby. 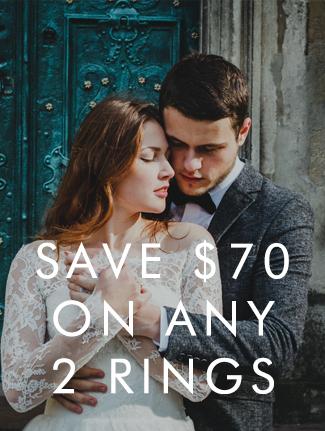 Blend their innovative new style with the look and feel of our traditional tungsten rings and you've got a two tone tungsten wedding band ring that is truly the best of both worlds! Imagine durability like no other, coupled with the dramatic shine and contrast of black tungsten. 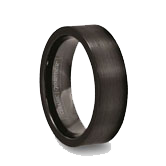 Now available in solid black style, two-tone, and black carbon fiber, or black diamond wedding bands, all in 6mm or 8mm sizes. 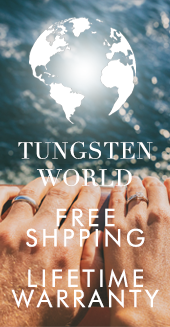 Tungsten World’s Women's & Men's Tungsten Rings are offered in a variety of styles and finishes and primarily come in 8mm and 6mm tungsten ring sizes. 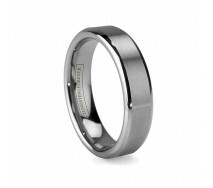 Tungsten carbide rings are perfect for wedding bands, tungsten engagement rings, or luxury style tungsten jewelry. 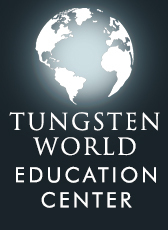 When shopping at Tungsten World with our Tungsten Forever brand, you are guaranteed the highest quality designer Tungsten Wedding Bands, which include: our Lifetime Warranty, Lifetime Sizing, 45 day return policy, free 2-3 day shipping*, free ring box + gift bag, available laser engraving, and in addition, all of our rings are Comfort-Fit and we offer tungsten wedding ring sets. 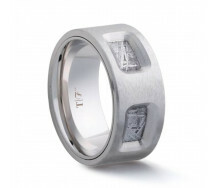 With a vast array of design options including gold, silver, platinum, carbon fiber, black, diamond, brushed, celtic, engraved, camouflage, grooved, polished, or faceted. You can rest assured knowing that when you buy a tungsten wedding band from Tungsten World, you are making a purchase from the most reputable and the best customer service tungsten retailer there is. 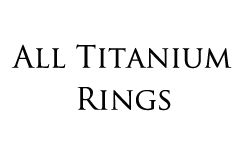 Feel free to email or call us if you have any questions or if there is anything we can do for you.